The only thing that remains constant in life is change. Businesses that are averse to the idea of experimenting come into the way of their own success. Your business should adapt, evolve, and cast off that which isn’t working anymore. In order to be successful and relevant to your clients, it’s natural for your business to start off on a new trajectory, enter new markets, and find out new target customers. The only way you can achieve this is by identifying new areas of marketing, optimizing operations, and shutting down departments or divisions that aren’t yielding the desired results. Often times, the introduction of innovative technology can be a crucial reason that might call for organizational restructuring. In cases like these, to keep up with the emerging technology, businesses have to go for a complete overhaul in terms of their systems and practices. This is essential to maximizing efficiency and minimizing unnecessary costs. In this day and age of business landscape, owners are realizing how important it is for the workforce to feel empowered to conduct their specific roles optimally and efficiently. The involvement of the management has to be on the level of the enabler. Strategic departments need to be given the freedom to perform their daily operations. Companies understand how traditional management style doesn’t serve any purpose today and are open to adopting a horizontal and open model to be in accord with the best practices. This isn’t possible without organizational restructuring. 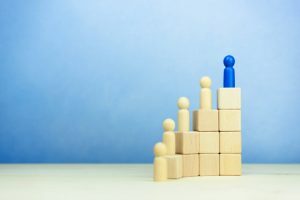 Change in ownership of the company can also result in organizational transformation as the new management may want to incorporate new methods, practices, and systems. This serves as an opportunity for them to change everything from the ground-up and exercise control. As a company offering management consulting services, we are often approached by businesses that want us to review their organizational structure and suggest the best course of action. To thrive in today’s competitive corporate environment, mergers and acquisitions are inevitable. This, without a doubt, warrants organisational restructuring to harmonise the practices and systems of the companies involved as well as to have a uniform approach. Likewise, with mergers and acquisitions, come new ideas, preferences, and methods-which also need to be factored into the new scheme of things. Moreover, the merged companies will also need to eliminate duplicate departments, practices, and systems.